Lawrence Dow Ward, 80, of North Charleston, South Carolina, widower of Thelma Frances Ward, died Saturday, July 7, 2018. His funeral service will be held Wednesday, July 11, 2018 in the J. Henry Stuhr, Inc., Northwoods Chapel, 2180 Greenridge Road at 11:00 a.m. Interment will follow at Carolina Memorial Park. The family will receive friends Wednesday an hour before the service at the funeral home. Lawrence was born December 28, 1937 in Fair Bluff, North Carolina, one of 13 children born to the late Ervin Ward and the late Rossie Floyd Ward. He retired as a foreman at Westvaco and was a member of Deer Park Baptist Church. 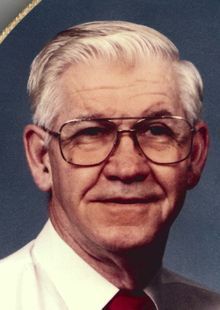 He is survived by his son, Allen Dow Ward of Ridgeville, SC; daughter, Pansy Lee Johnson (Stacy) of Youngsville, NC; twin brother, George D. Ward of Sherman, TX; sister, Meridith Cataffo of Ontario, Canada;grandchildren, Bryan Cordell and Samara Cordell; great-grandchildren, Lilly Anna Cordell and Raven Monroe Cordell. He was preceded in death by his wife, parents, five brothers and five sisters, two of whom were infants. In lieu of flowers, memorials may be made to: Deer Park Baptist Church, 8875 University Blvd., North Charleston, SC, 29406; American Lung Association, Coastal Branch 44-A Markfield Drive, Charleston, SC, 29407; or American Heart Assoc. of SC Memorial Processing Center, 4217 Park Place Court, Glen Allen, VA, 23060.